Measure, Improve Upon, & Grow Your Business' Profit! 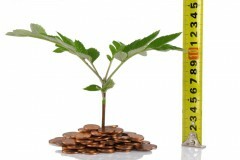 Measure, Improve & Grow Your Business’ Profit! The age old adage “what gets measured gets improved” holds a lot of value for businesses. This phrase is often tossed around when you are being convinced to add a metric to your scorecard or in today’s world of technology, the dashboard. The basic theory underlying this phrase is that if you can measure “x”, then you will improve the performance of your business. But the implementation of this phrase isn’t an easy task. Merely measuring a quantity doesn’t ensure that if actions are taken the performance will improve. For instance, consider how a rain gauge works. The gauge shows measurement regarding rainfall, including evaporation, which is calculated by using humidity and temperature data. But nothing actually gets done by simply looking at the gauge and noting the readings. So, you have to measure things that require actions attached to them. To tie in my thought on the rain gauge, you may have a garden that requires consistent water supply to survive, and the result is production of food to feed you and your family. Here, in order to measure and improve upon the garden’s growth, is by including a set of commands for the garden machinery to execute based on the readings of the rain gauge. The moisture gauge gets linked to the sprinkler system, which operates the sprinkler relative to the amount of rainfall on the day. Now, let’s say you own your own fitness business. You need consistent supply of money in order to keep it in operation. Typically, one would obtain money in the gym business from selling and retaining memberships. In turn, memberships are secured by competitively fulfilling the demand in the fitness industry marketplace. Staying reliably competitive within the marketplace does not necessarily mean finding one particular formula or strategy and sticking with it. This may work at first, but you need to stay informed daily when it begins to waiver. Hence, it is absolutely necessary to document both your operational and process performance and to stay reminded of it and act upon the results appropriately. Not only is important TO actually measure, it is just as equally important HOW you are doing so. Some start ups use pen and paper to visually document these measurements. This may be fine at first, but after you accumulate business, this strategy will ultimately fail and you will lose money because of inevitable human error. Others will start off on the right foot and use management software. However, you still have to be weary that the management software is providing you with the necessary metrics you need to run your business as a business. • The metrics and goals that you are measuring should be aligned with the corporate goals. If your overall strategy, the metrics, and the goals align together, you will still need to pass them through the “gut check”. You have to ask questions like does the process make sense? Will these steps lead me to the results I want? • Show how overall corporate goals and metrics are linked. Just because these two factors do not align doesn’t mean that the workers will see the connection. This link to the overall performance of your company is the key. The goals or metrics should be simple enough such that every employee can see that the objectives they have to complete each day to have an overall impact on the business’ performance. • Management has to follow up with actions. Simply measuring doesn’t ensure action can be taken, and in turn there will be no improvements. The manager should be able to challenge, review, and give feedback on the work done. All types of work fail when the employees don’t feel like a part of the team. Employees generally care about the results of the company if the leader shows care toward them. Once you find a system that works for you, can be used with confidence and you can be sure that your scoreboard or dashboard will get the desired results. This is because what gets measured looks sensible, aligns with your goals, and requires follow-up action. The businesses which embrace improvement of performance are generally those that work toward understanding the meaning of the metrics for their organizations. They then take decisions on these findings regarding things that have to be sustained, and others that need to be modified. But you can only do this if you are planning to use the data for guiding decisions that lead to overall improvement and profit growth of the organization. Remember to measure everything that you possibly can with follow through and you will soon reap the benefits. Get Insight Into Your Business Now! If you are in a membership based business, Insight member management software can give you all the metrics you need in order to grow your business. Start measuring today for free. Find out what areas your business needs to improve upon and grow with Insight! What are you using to measure your business’ performance? What metrics are important for you to see?